So I’ll try to answer those questions as best I can. Like many people, we enjoy vacationing in warm locations during the cold northeast winters. Our first few vacations as a couple were to all-inclusive resorts in the Dominican Republic. But while these resorts were beautiful, we were always warned that you didn’t want to venture beyond the walls of the resort. Too dangerous, we were told. But really, that’s what interested me the most. I was curious about how people of modest means were able to survive the day to day grind in a beautiful tropical locale. These were people who worked all day, just like we did in the States, but they got to do it in a beautiful tropical location. Why couldn’t we do that?? So for our next several vacations we made a point of avoiding “resorts”. Instead we rented a condo or stayed in a hotel, just so we could get a better feel of how the locals lived. We checked out the town of Esterillos in Costa Rica, Cartegena in Colombia, Rio de Janeiro in Brazil, and the Caymen Islands. While Costa Rica, Colombia, and Rio were nice, we knew the language barrier would probably be an obstacle to attempting to live there long term. 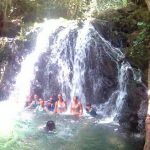 In addition we felt that expats had already inundated Costa Rica and we were looking more to get in on the “ground floor” of a developing country. 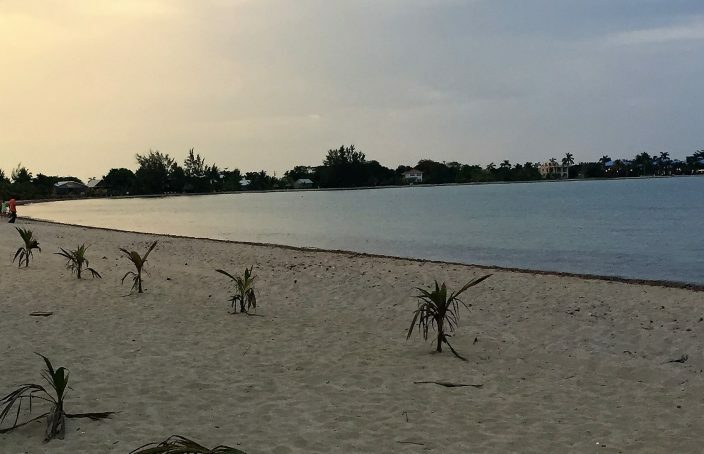 The Caymen Islands were beautiful AND English is the official language, but the cost of living was just too high and really it just felt like a place for wealthy Americans. Our honeymoon in Thailand was awesome and the cost of living was super appealing, however the long distance just made it not the most practical location, especially if we wanted family to be able to visit on a regular basis. Our first exposure to Belize was in 2009 when Belize City was one of the ports on Norweigan Cruise Line itinerary. We were warned that there wasn’t much to do at the port in Belize City, so we opted to go on a cave tubing excursion. A scenic one hour bus ride through the countryside took us inland to the Caves Branch Archeological Reserve. After a short hike we then floated down a river through dark caves in cool, refreshing water. The excursion ended with a late lunch at a local restaurant for some stewed chicken served with rice and beans. 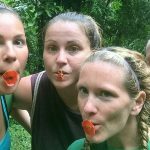 So after this brief exposure to Belize, we knew we wanted to go back and see what else the country had to offer. So we bought our Lonely Planet guide to Belize, started researching on the internet, and made plans to visit again. 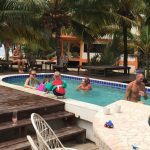 Our first real trip came in 2014 when we split our time between the main tourist island Ambergris Caye and the mainland beach village of Placencia. 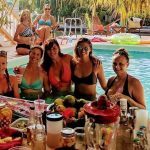 We went back the following year when Megan was pregnant and split time on the smaller island of Caye Caulker, the large island of Ambergris Caye, and the village of Hopkins, a slightly less developed beach town on the mainland. 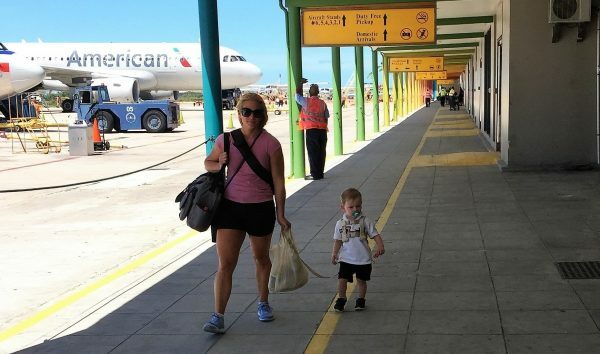 The following year we went back to Placencia, this time with an 8 month-old Mitch. 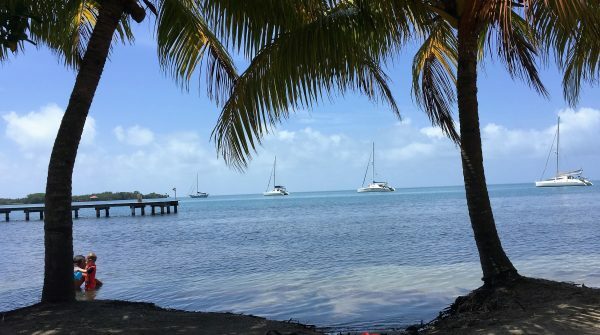 After this last trip to Placencia we knew we wanted to attempt to make Belize our home. The proximity to the States, the friendliness of the local people, English being the official language, the potential for a lower cost of living, and just the beauty of the country all helped to solidify our decision. So how does one actually make the move from the US to a foreign country? Its relatively simple, once the decision is made. Over the past two years, we sold our house, became renters, pared down our possessions, and ramped up our savings. The lease in our winter rental was up in May, so we knew that would be the time to make the jump. We resigned from our jobs, continued purging our possessions, and started packing. And so on May 23rd, we said goodbye to the U.S. and moved to Belize. Simple, right?